Stapled to a rigid plastic board. Nylon Felt is made from recycled plastic water bottles. Water wicks, holds, and releases moisture. 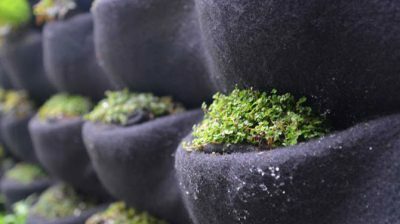 Roots grow into the moist felt. Planting with some soil balances pH and stabilizes moisture. Pleated felt design keeps moisture in the system and the front dry. The soil breathes to host living microbiology and healthy plants. 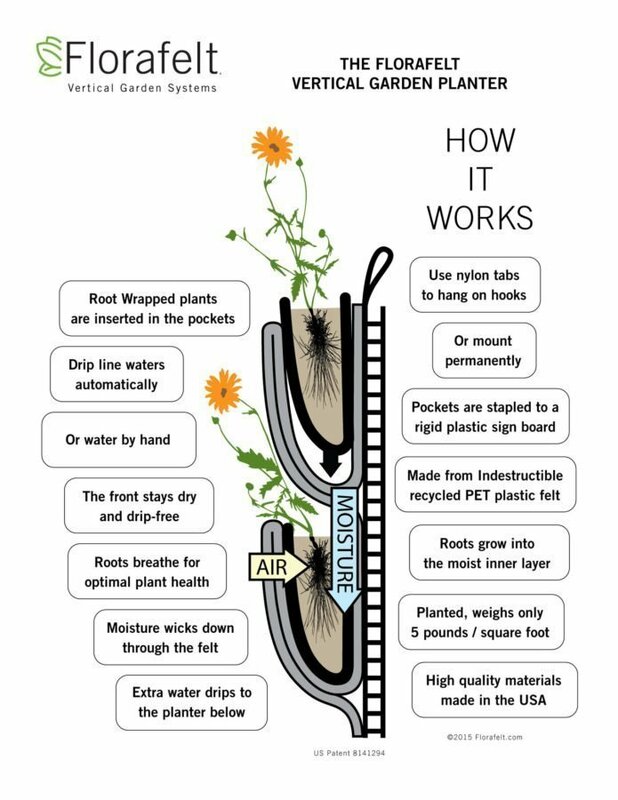 Our hand-made vertical garden planters are designed to use the micro fibers in nylon felt so that all the plants are watered equally. The felt is made from recycled plastic water bottles, a nylon non-toxic fiber that is indestructible and tough. Florafelt Pockets with baby tears. 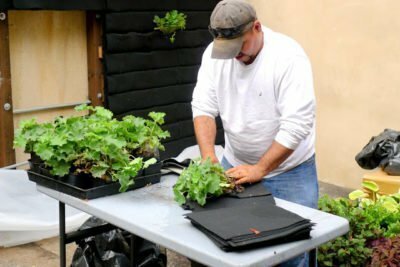 This amazing material provides a safe growing medium that is pH neutral and non-reactive, so you can garden organically right on your wall – it’s even safe for vegetables and herbs! 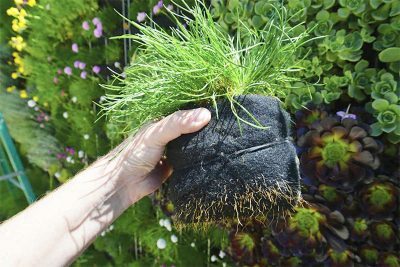 Roots grow right into the felt, which comes alive thanks to the microbiology in the soil. The patented pleated design provides the perfect combination of breathability and function, directing the moisture inward and keeping the front dry. Our planters come with our custom Root-Wrapping system. This lets you change and arrange your living wall at will, while maintaining the integrity of every plant in its own soil. 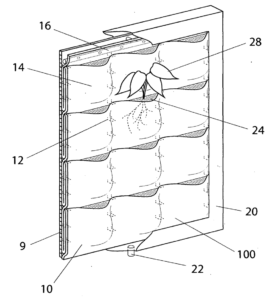 Roots grow through and into the moist Florafelt material.